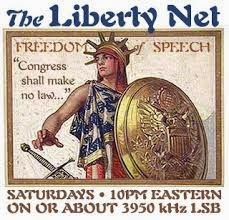 I’ve been lax with listening in on the Liberty Net crew at www.3950.net . The last time I noted anything worth noting was a discussion about Bitcoin, the digital currency/peer-to-peer payment system. Part of the discussion was how the National Security Agency was spying on everyone online, an actual conspiracy, unlike some of the Illuminati stories they repeat. One Libnetter was advocating Bitcoin as an alternative to paper money, a way of working around the control of the Mega-Conspiracy. But another participant said that maybe Bitcoin was really part of the Mega-Con, maybe a front for the NSA to keep track of you. So the first speaker went from advocating Bitcoin to wondering if it was indeed an Illuminati honeytrap.